يقع فندق Sophia على بُعد مسافة 10 دقائق فقط سيرًا على الأقدام من محطة سكك حديد كروس الجنوبية، ويحتوي على مطعم وبار وطاولة بلياردو ومكتب استقبال يعمل على مدار الساعة، فضلًا عن مكان إقامة مكيف يحتوي على تلفزيون مع قنوات فضائية، ويبعُد مسافة 6 دقائق سيرًا على الأقدام عن محكمة فيكتوريا العليا. يقع الفندق في قلب ملبورن، ويبعُد مسافة 15 دقيقة سيرًا على الأقدام عن ملعب الإتحاد ودوكلاندز، فيما يبعُد مسافة 10 دقائق سيرًا على الأقدام عن سوق الملكة فيكتوريا الشهير. تحتوي الغرف العصرية على ثلاجة وآلة صنع الشاي والقهوة، وتشتمل جميع الغرف على صندوق ودائع آمن ومرافق كي الملابس ومكتب عمل. يُقدم مطعم The Golden Age الذي تأسس عام 1900 بوفيه إفطار ومأكولات مستوحاة من المطبخ اليوناني على الغداء والعشاء، ويمكن للضيوف الاستمتاع بمجموعة متنوعة من البيرة والنبيذ في البار، الذي يتميز بجهاز أغاني وتلفزيونين كبيرين بشاشتين مسطحتين. وديعة أمان على البطاقة الإئتمانية بقيمة 150 AUD مطلوبة عند تسجيل الدخول كمبلغ تأمين للأجور أو الأضرار خلال الإقامة و سيتم إسترجاعها عند المغادرة. يُرجى الملاحظة أنه يُطلب من الضيوف تقديم بطاقة ائتمان سارية عند تسجيل الوصول. يرجى الملاحظة أن يوجد رسوم بنسبة 2٪ غير قابلة للاسترداد عند الدفع بواسطة بطاقة الفيزا أو أمريكان إكسبريس أو بطاقة ائتمان ماستر كارد. يُرجى الملاحظة يجب دفع وديعة تأمين قيمتها 150 دولارًا أستراليًا عند تسجيل الوصول. Booked this in a rush, as a one night rest stop. $100 seemed a good price. Then read some recent reviews; - less than complimentary. Actually dreaded arriving, (10 minute walk from Southern Cross, up Spencer St; across a block to King St.). Receptionist cool but efficient. Had to sign Credit Card agreement then and there. (Not yet credited back!). Only one lift up to all three floors, but quiet time, so no problem for us. Given 315 on the third floor. Surrounded by others in the process of refurbishment; so strong aroma of White Spirit, but no noisy neighbours:) "New" room compact but with King bed (two singles with a comfortable, full king mattress);good quality cotton bed linen and light, bright en suite, with efficient (if slightly cramped) shower. Tea and coffee and fridge, bedside table etc. Able to open window and roller blind, but noisy, so used excellent air-con. Great Indian "cafe", two blocks down King St. $10 meal and all the Roti you could eat! Lovely staff too! This place is bad. No hot water & had to complain multiple times to fix. Rooms small & not worth the price. Biggest issue was they take out a $150 bond before u even go there which even against the law to charge without you being presence. They didn’t return after we sent multiple email threatening legal actions. They Said they returned the bond and asked us to contact financial institute but our bank said they not release the bond. Avoid this dodgy place. This hotel was the cheapest we could find in Melbourne City centre. It is in a great location, a 3 minuite walk from the train station and a 2 minute walk to the free tram stops. Rooms were big in size and we had a queen size bed which was perfect after a long flight. The staff make you feel welcome and the hotel does everything to make your stay more comfortable. We had free tea (black, green peppermint, lemon you name it!!) and coffee in the rooms along with free chocolate, towels and toiletries. 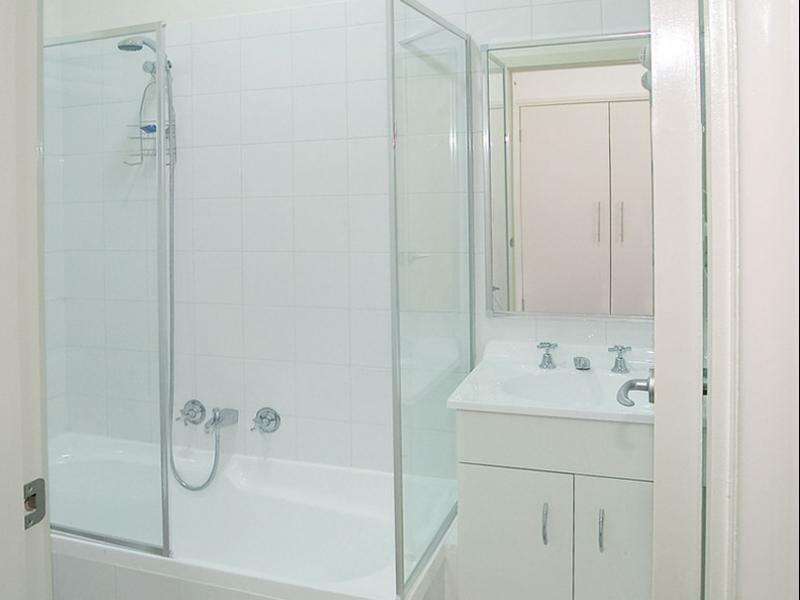 Although the bathrooms were shared, you get your own shower room which is big and clean and the showers are hot and powerful. Free wifi is provided throughout your stay and there are movie channels available on the huge TV in your room. The only down point to this hotel is that if you book directly with them you get free buffet breakfast, however through agoda there is a $6 charge per person. Breakfast is optional but it wasn't worth the money really. Yes you get bacon, eggs toast and cereals but it is all cold unless you are there at 7am when it opens. We arrived at 8:30 and things had been left standing as the hotel wasnt too busy. you can get egg bacon and toast with a coffee for $5 in the city and it will be hot of course!! i would definitely stay again tho and recommend but just skip the breakfast. Both hot water and air conditioning in my room were not working. Tried to call reception and phones were not working. Have sent an email regarding this and have not had a response. Will not be staying here again. Good location, affordable. If you travel solo or couple it's alright but if you travel with kids, I will not recommend it. Too noisy at night, you hear people outside as well as the cars. Street noise is one thing on a very busy street and so are loud banging doors when trying to sleep but when a cherry picker turns up at 6am right outside your window rattling chains, constant beeping and fumes this is another thing. The building is being redeveloped we were not warned of this nor offered another room on request yet have another 3 nights here! Rooms came without baths & toilets. I mean it is normal for hostel but there was no indication that this was a hostel type establishment. Prices are cheap compared to surrounding hotels but not vis a vis hostel prices. Value for Money is good as it is cheap but the room was quite spacious but when we arrive we waited for almost half an hour as there was no one on the reception. It was good because it's near the city. This hotel was easy to get to with its central location. I booked this room for one night just for a sleep stop. I didnt arrive until just after midnight. Unfortunately, with all the street noise i could not sleep. I am normally a sound sleeper, however at 4am I finally rang reception to request a room change to one off the street. There was only one room vacant, however as it hadn't been cleaned they would not allow me to move to it even though I stated that I was happy to move there as i really just needed sleep. I have now invested in good noise isolating headphones that i will travel with in future. I felt because my partner and I are young that the staff treated us poorley. It clearly had a sign stating that breakfast was $6 and when we went to have breakfast the female staff member told us that we had to pay$10 each because we booked through Agoda. It said nothing about this on the sign. Our room also was not serviced at all during our 2 night stay, we had to go down to reception and ask for fresh towels. I know this is a cheap hotel, but good customer service costs nothing. 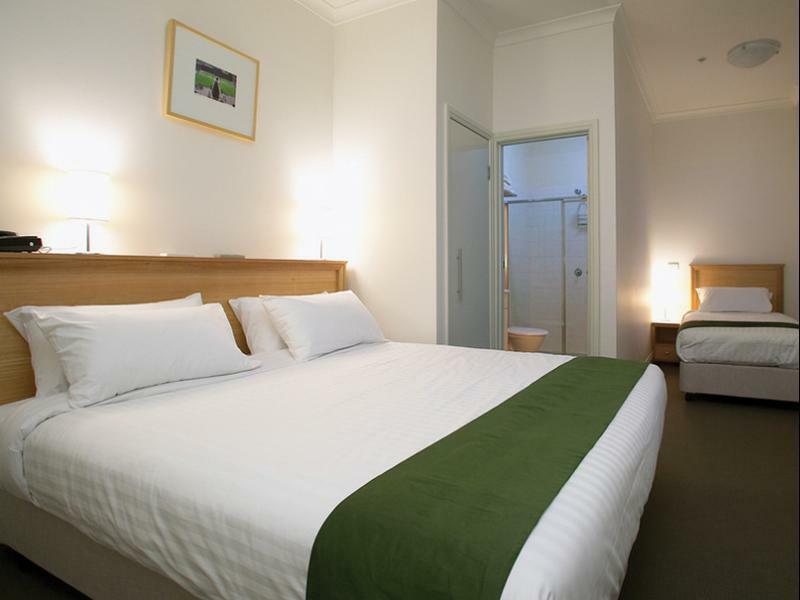 Sophia Hotel is within walking distance to the train station, airport skybus terminal and a huge Coles supermarket. It is a 15 min walk to Central and other exciting places. Rooms are clean but noisy because of the nearby construction and thin walls. I recommend bringing ear plugs. I could hear the loud snoring of the person in the other room :) Room service is done only every 3 days and you need to inform the front desk if you want your room to be cleaned. I guess this is how they can keep the rates affordable. Excellent for budget travelers. You can't beat the rates. Starbus (another airport coach) stops at Sophia Hotel. Great location right in the CBD with major train/tram stations only 1-2 blocks away. An outlet nearby, many Asian restaurants right across the street or 2-3 doors down. The hotel restaurant served decent breakfast and meals. Staff were friendly, though not very much helpful when it comes to questions about the city. Rooms are clean, Wifi was slow. All in all, good value for money, and everything is convenient there. Great features of Sophia eg very clean, great location. Price included hot breakfast which was handy for us as we went to meeting all days. Room is quite small but got everything we need. Staff are friendly and helpful. 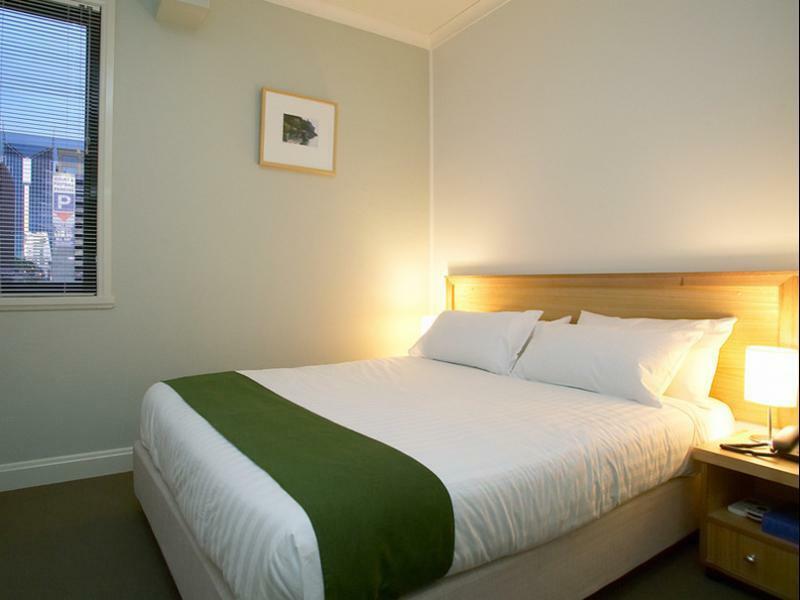 The hotel located very close to southern cross station and other Victoria market. Lovely staff and good price for the location I guess. Bed is quit big which fit both me and hubby plus a baby lol. Will stay again if I go to Melbourne again. My stay was just fine. I just wanted somewhere to stay for a couple of nights while i was in the city visiting friends. The rooms was quite small, however it had all hte amenities that i required. Outside my window was a massive construction site, however, this isnt abnormal in the Melbourne. Just be aware of that, the noise didnt bother me too much as i was only there to sleep. However the more precious may have a problem with it. Goodluck finding a room for the price of this joint though.